Another day, another problem. DIRECTV has once again been forced to black out channels due to contract issues. This time, the issue is 18 stations owned by News Press & Gazette, operating in 10 cities throughout the western United States. 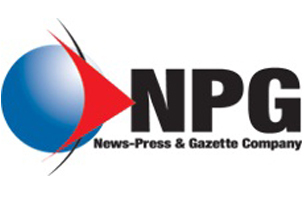 NPG, which owns a mix of stations ranging from the prestigious KESQ in Palm Springs to Yuma’s KECY, has decided to ask for the typically huge increase in retransmission fees. These are fees paid directly from a cable or satellite company to a TV station. The TV station will tell you that the cable company puts in its own commercials so the station loses money. The cable company will tell you it’s basically a shakedown. Both sides are basically correct. What makes this blackout particularly bad is the fact that NPG owns several stations in some of its markets. So, you’re looking at people who are losing as much as half of their broadcast TV in this one dispute. With new shows premiering in the next few days, the rush is on to find a solution. There’s a lot of money at stake when people start to look for new episodes. I do expect this to be a quick channel blackout. Here is the list of affected stations, courtesy of Wikipedia. As I said, this will probably be a quick blackout but if you’re tired of this kind of thing happening, the solution is easy: get an antenna. Putting up an antenna guarantees that you’ll never be affected by a channel blackout. You’ll get free HDTV with nothing more to pay, and no one can take it away from you. It would take an act of Congress to end free TV broadcasting, and it looks like they’re busy with a lot of other stuff right now. Who should you call for DIRECTV support?